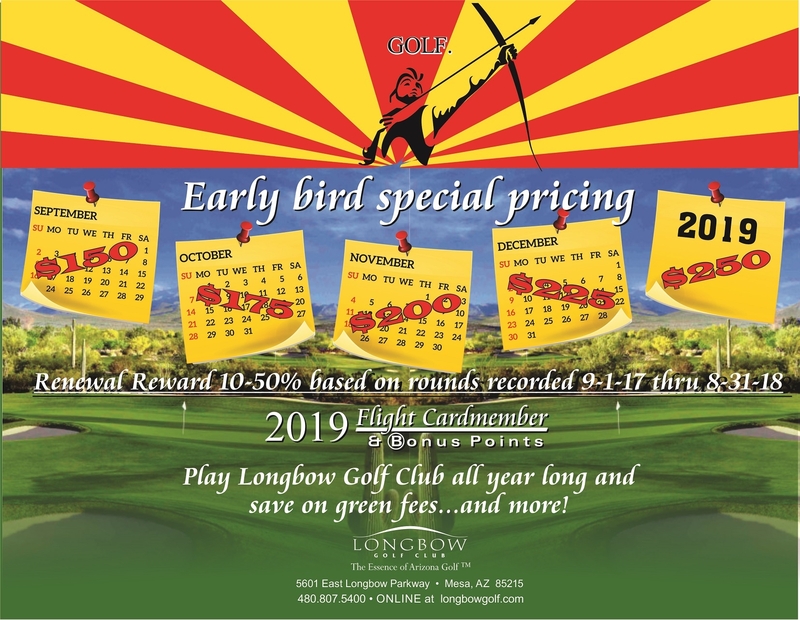 The 2019 Flight Card is here. Become a Car​dmember today. Enrollment in the Cardmember Bonus Points Program. Points are earned for dollars spent on the individual Flight Cardmember green fees. Points can be redeemed for the Flight Cardmember rounds of golf. Renewal Reward applied to eligible returning 2018 Flight Cardmembers based upon rounds recorded during qualified membership period (September 1, 2017 thru August 31, 2018).